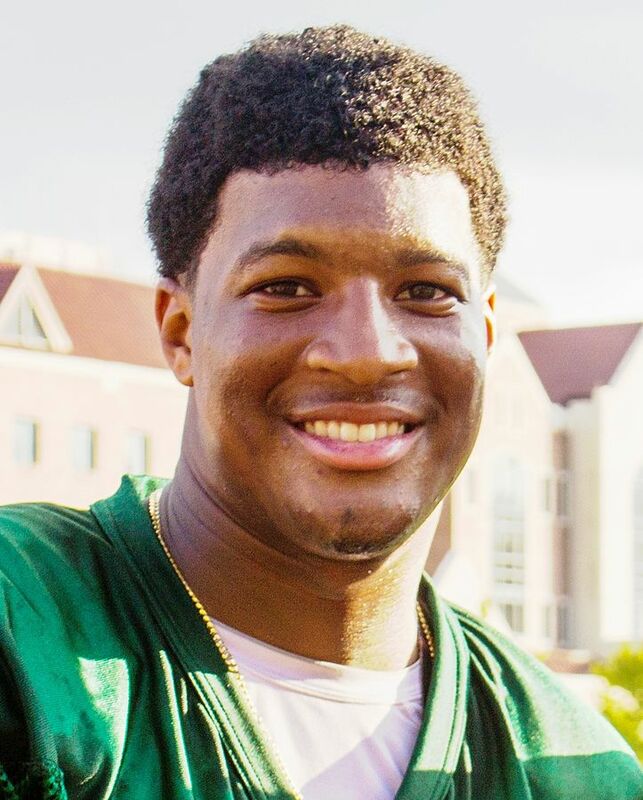 Going back to football season, I had paid attention to the alleged sexual assault committed by Florida State star quarterback Jameis Winston. Something always seemed off about the case. Today, the New York Times has an investigative piece by Walt Bogdanich which explains the situation and the chain of events. I realize that we are innocent until proven guilty. I’m not saying that I’m so certain that Winston is absolutely guilty. But this article confirms the gut feeling I had from everything else I’ve ever read about this alleged crime: That the university and the city police department did very little to get to the bottom of this case when the allegations were originally made. He picked her up at a bar that had 30 security cameras, and police never sought out that footage. She rode to an apartment in a cab where he swiped his student ID to get a discount. The police had the name of another football player the alleged assailant had seen at the bar. Then it took another 13 days for police to contact Winston! When they contacted him, it was by means of a phone call. Which state prosecutors say was inappropriate and that he should have been approached in person. They did not seek a DNA test from Winston (this would not happen until almost a year after the incident. Phone records were not sought). On February 11, 66 days after the initial allegation, the officer closed the case ending his report with, “This case is being suspended at this time due to a lack of cooperation from the victim. If the victim decides to press charges, the case will be pursued.” The accuser and her lawyers deny that she ever refused to cooperate. When the case was closed, the accuser was never notified that the officer had dropped it. One of his roommates admitted that he had recorded part of the sexual encounter between Winston and this woman. But this was also not admitted until almost a year later, by which point, there was no longer any filmed evidence. This is yet another thing that might have made a world of difference had the investigator (who happened to moonlight doing security work for the football team) hadn’t dragged his feet. Earlier today, Florida State lashed out against this story. For instance, The Times article says that if the athletic department failed to report the alleged sexual assault involving one of their athletes, that this would have been a violation of federal law. The university statement says that they were unaware of this until last November (11 months later). The Times article shows an email from the Tallahassee Police Department from the time that Winston had been identified which indicates that the athletic department was aware of the allegations. In reading the rest of the statement, it does little to refute actual facts reported by The Times and instead pats the university on the back for everything that it does to advocate for sexual assault victims. By both the university and the police, it seems like little was done to investigate Winston. Also, there are still a lot of very interesting parts to this story that The Times article discusses. The allegations did not become a national story until November when The Tampa Bay Times requested public records pertaining to the allegations. This is when Florida State says they became aware of it. At the time, the football team was ranked second nationally, and Winston was establishing himself as a front runner for the Heisman Trophy. By this point, so much of the evidence was gone, and the prosecutor did not feel he had enough evidence to file charges. Again, with the leads that could have been investigated, there’s no way of knowing if there would have been good enough evidence to get Winston convicted. But it’s a travesty to see how little was initially done. It makes it look like the reputation of a football program and prospects for prominence on the field mattered more than finding out what actually happened.